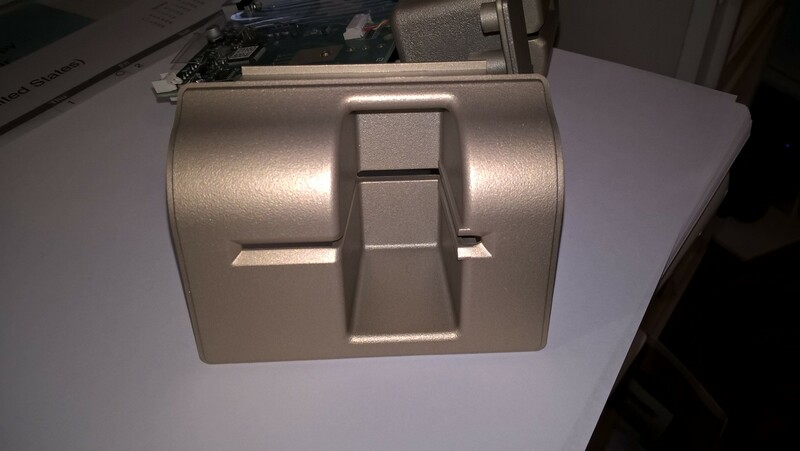 The project is for a retail ATM company located in New Jersey to reproduce the new ATM card reader bezel. 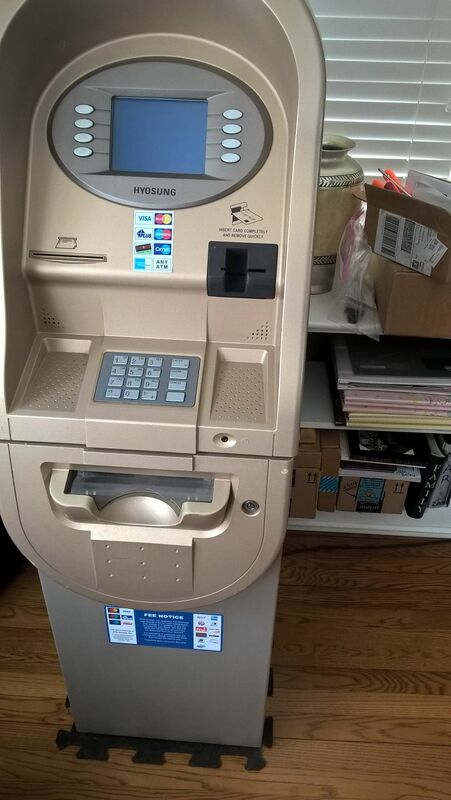 The company is going to replace all of their 300 ATM units with the chip reader in order to offer extra security to against fraud ATM transactions. 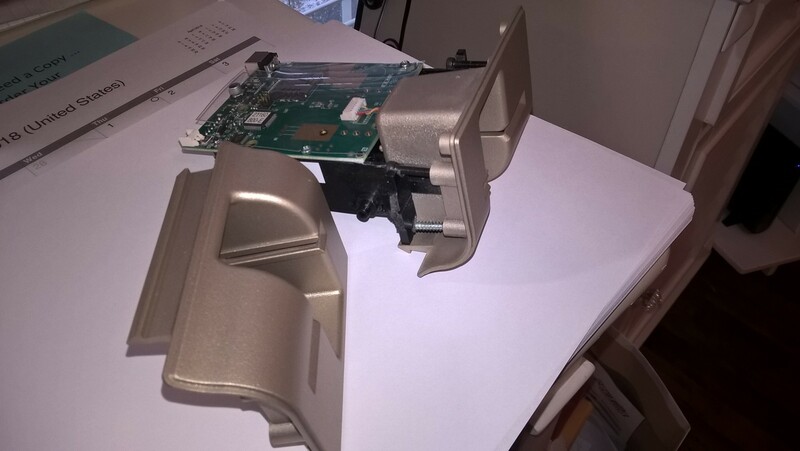 The problem, however, is the waiting time to get all the new card bezel parts will take 2 months since their suppliers run out of stock and the back-order are imported from China. The company can not wait this long as their operation rely heavily on these bezels. 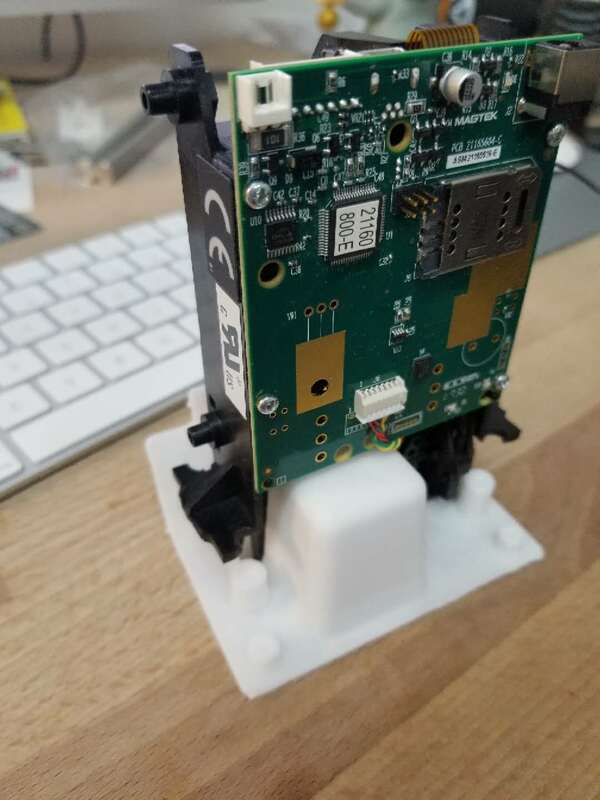 The cost to wait for 2 months is too high and they are thinking to use 3D printing to fast fabricate some units and put some machines running first in order to lower the cost. The client only has one piece of the bezel and the structure is hard to duplicate using a traditional silicone mold. Even if we created a mold, the production would not be fast enough to produce 300 units. 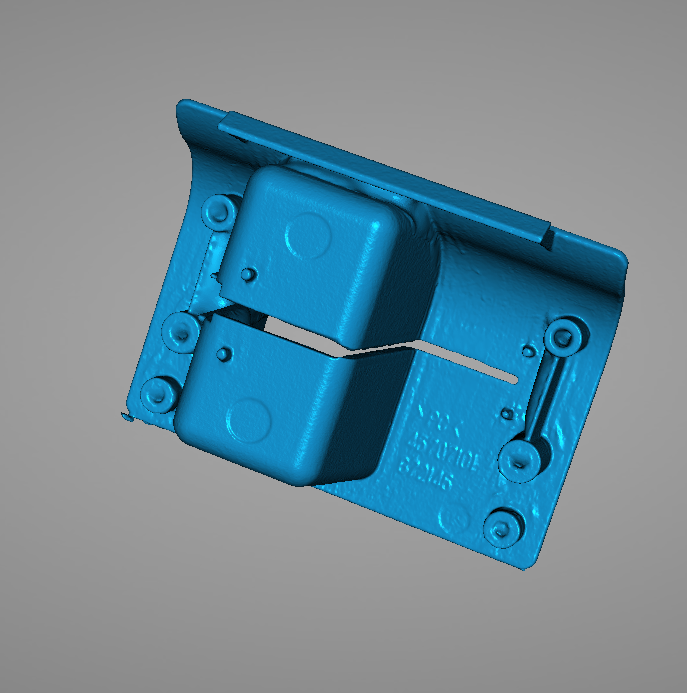 So we thought that the best way is to 3D scan the part and just print them out. 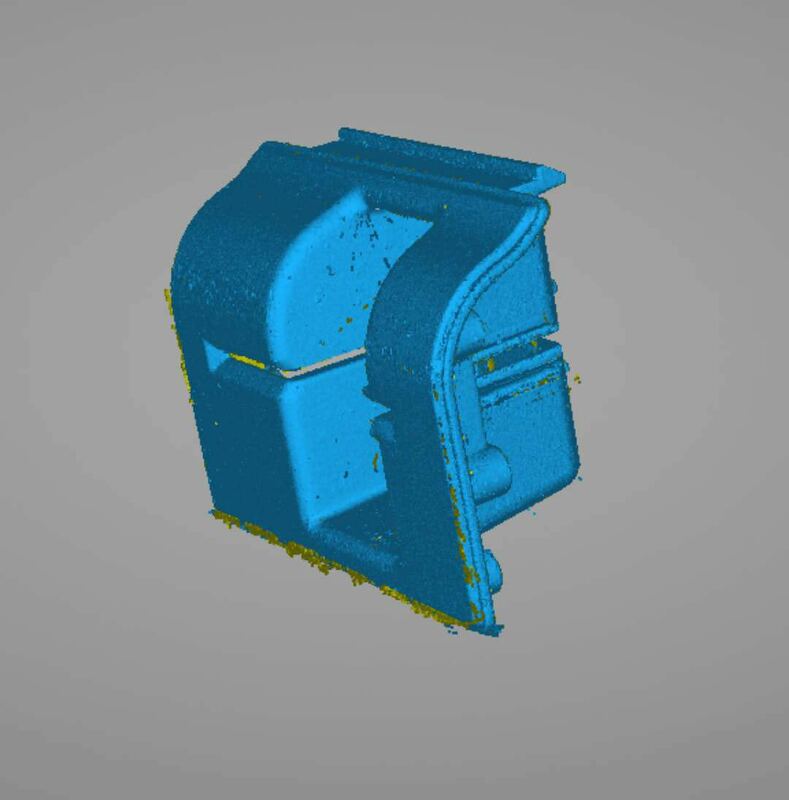 We believe the Einscan scanner can handle the job since we have done a lot of similar scanning jobs. The accuracy is good enough to make sure all the mechanism fit perfectly. It is a pretty smooth scanning. Since some areas are too deep to receive enough lights or get blocked by the shadow, it takes us a few times to get a perfect scanning model. We use Zbrush to fix/clean the model after the scanning. We finally printed out it in ABS plastic which practically costs nothing. We also did a little finishing. (sanding) The 3D printed bezel fits the machine exactly as the original piece. We were able to use 3D Printing to produce 50 pieces a day which immediately solve the problem. The production volume is also flexible which means lower the cost for us to pre-order a large volume in order to lower the machine cost. 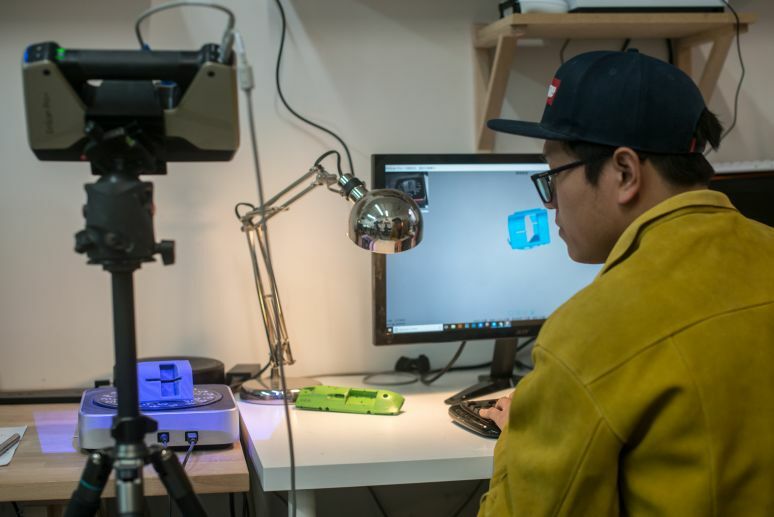 How does the 3D scanner change the original design/manufacture method? 1.) 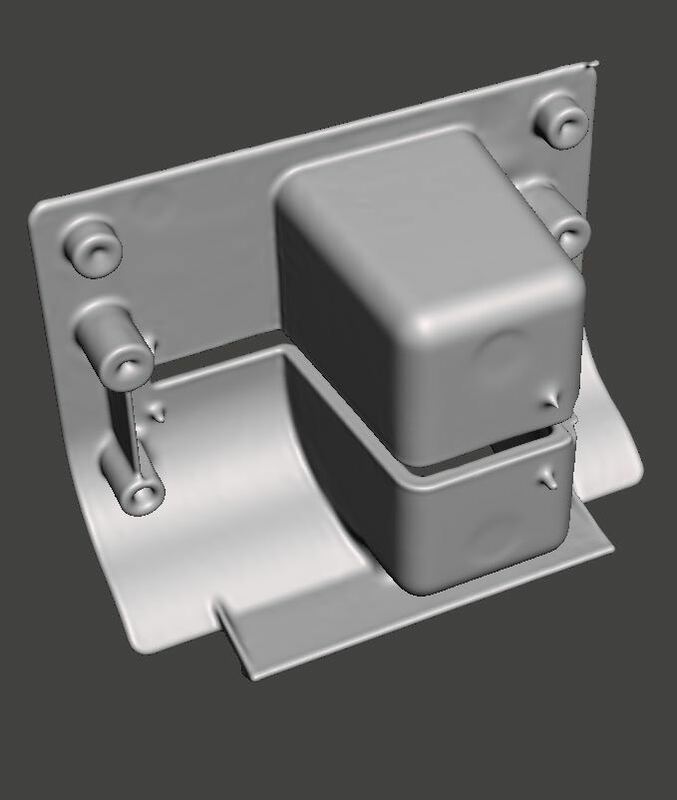 It is much easier to 3D scan/duplicate a piece than to make a mold which requires a lot of work and time by doing so. 2.) It lower the cost significantly. 3.) It converts the real part into a digital file which allows modification much easier on computer than changes on the real thing. 4.) 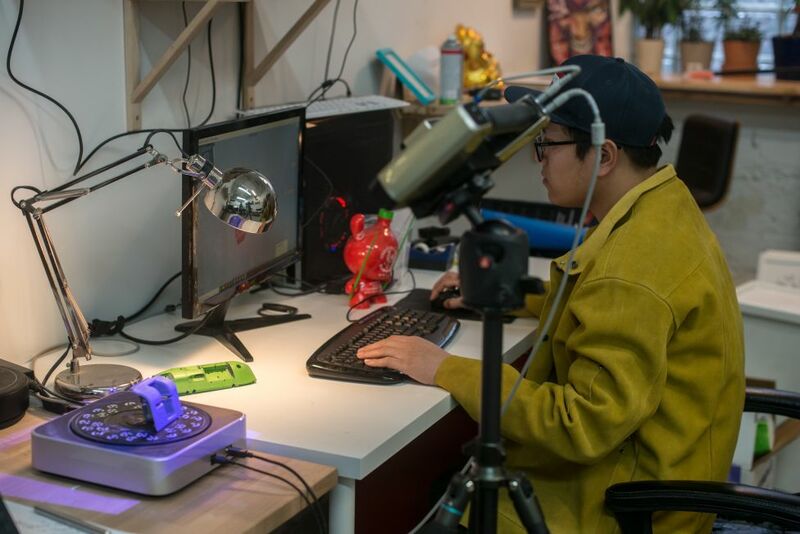 It fits perfectly and becomes an extension to 3D printing technology. We chose Shining 3D’s Einscan Pro because it does the job as well as a machine that cost three times as much. It’s very precise and it actually produces a very good scanning quality. 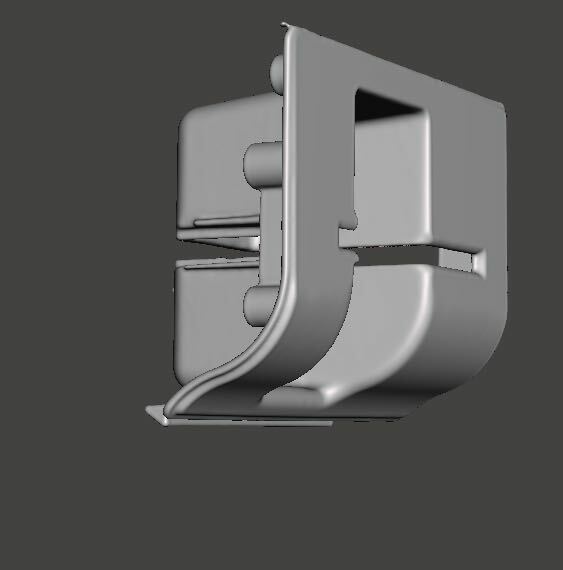 We only do small sculpture/machine parts scanning so the portability and size of the Einscan is perfect for our use case. Most importantly, I’m Chinese. Although we enjoyed using the Einscan Pro, we did experience some hiccups. The software/hardware processing is not as fast as we’d like it to be. The handheld scanning is terrible. (never used it) The shell feels super fragile with the thin plastic case. The engineering package is not worth its $800 price tag. It comes with a rotating table that doesn’t spin anymore and a tripod that is too tiny. I ended up using my photography tripod instead. Having a customer service in the U.S. would definitely help. Our company focuses on 3D printing and prototyping services with our office located in Brooklyn, New York. We offer fast prototyping service to a lot of clients in New York area like Tiffany & Co, Samsung and Nike etc.